The Nokia Theater in Los Angeles was packed last week as hip hop pioneers, Rakim, DMX, Naughty by Nature, Slick Rick, EPMD, Big Daddy Kane, Biz Markie and Special Ed took the stage at The Masters of Ceremonies Hip Hop Reunion concert. I was there to see Rakim and he put on a dope show! 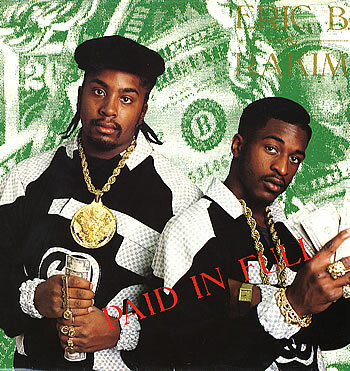 All he had to say was “Thinking of a master plan…” and wave his mic towards the audience and let them finish the rest of the rhymes to his 1987 classic, “Paid in Full.” Listen to this throwback track below. If you like hip hop music then check out http://www.HipHop-Head.com for some fresh hip hop gear!